We were created to love and be loved. And in love, we communicate freely and passionately. 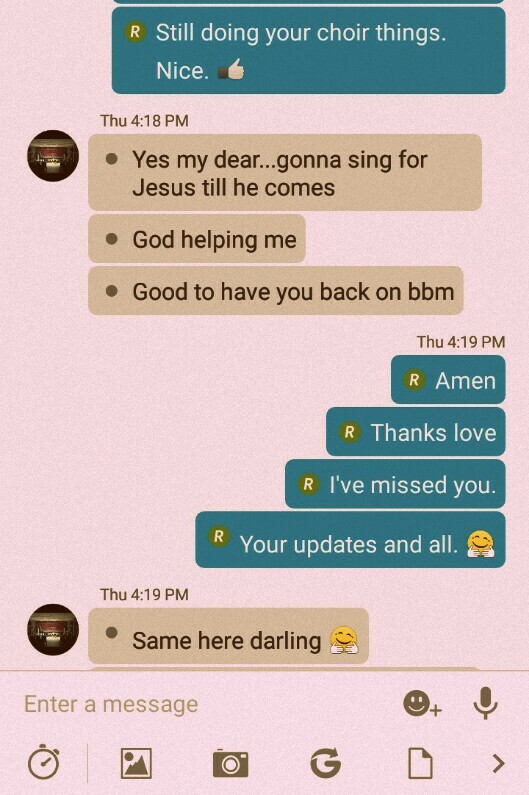 Having been away on BBM for over four months, I don't know what got into me when I reinstalled the BBM app on my phone last week. That's what joblessness can cause. Lol. I thought to catch up with some friends. While chatting, it got to a point where I needed to add a smiley to one of my comments. I really needed to. As I clicked on the box showing me various options of smileys, I realized how "creative" a smiley can convey the exact emotion I intend to express. Before I go further, a smiley is what normal people refer to as "emoticon" or "emojis", but for reasons I have no idea about, "smiley" sounds better to me. You might find me using both terms interchangeably. You text and chat with friends, colleagues and family members and you use smileys to express your emotions and feelings. Don't you? The use of smileys informs whoever is reading our message about our mood and tone. These smileys carry the emotional aspect of our text, and Oh, that is probably why they call them "emoticons". So he said, "I missed you"
And I didn't want to lie that I missed him too. I wanted to say "I didn't miss you" without making him feel bad or me seem heartless. That was how I started searching for the perfect smiley. It was almost like The Ultimate Search Reality TV show. Communication is an art. 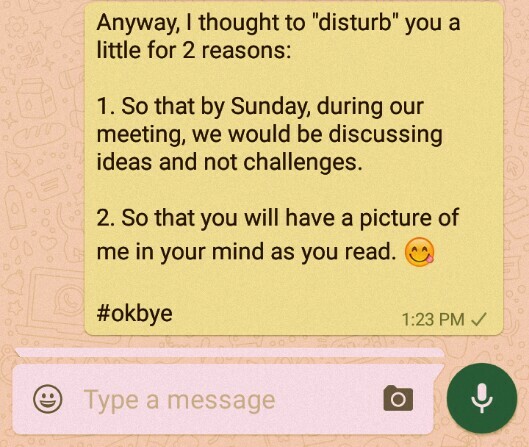 The use of smileys is also an art. You either use it to make your relationship better or worse. 5 Ways To Tell Bae "Thank You"
Knowing when and how to use these little smiley faces is VERY important. Like I said earlier, it's so easy to misinterpret online communication as they don’t contain the actual expression to what somebody says. We all have come across a situation where we’ve thought somebody meant something different to what they intended. A joke that’s gone over our head because we didn't have the tone of voice or facial expression to guide us. 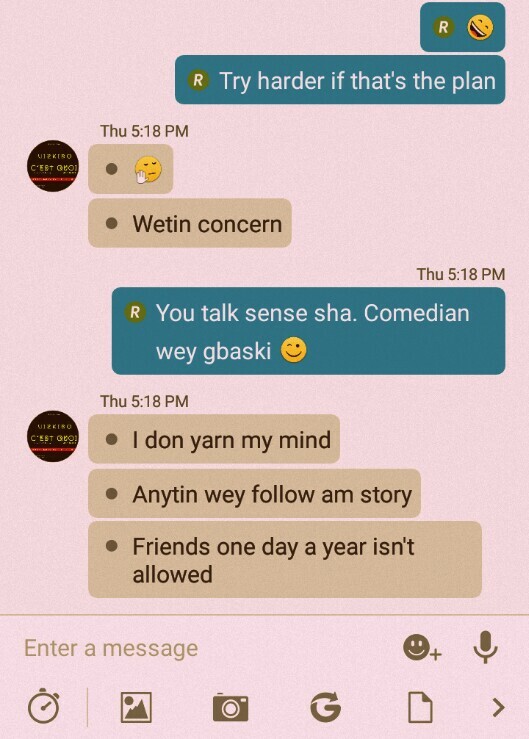 A conversation that’s become very heated because somebody came across as arrogant – it happens every day (on WhatsApp especially, lol) and it’s partly the reason why social media seems to be the root of many relationship issues. So let's use smileys to save our relationship. I believe that face-to-face communication is the primary and desireable form of communication for most purposes, adding a face to my chats seems natural to me. # When you want to pull someone's leg, wink at them. It should come naturally to you too. Given the amount and frequency of (casual) communication we do via text has vastly increased, I find it very natural to use smileys. It is a way of adding visible expression to the information I am sending. # When you want to greet or comfort someone, give them a hug. Those who use smileys have the best relationships. They appear to be expressive, friendly and warm. They smile when they want to and cry when they have to. They laugh, dance, grin, etc. # When you want to be naughty, use the smiley that has the tongue sticking out. To avoid misunderstandings in communication of our tone and mood, emoticons are a very useful tool. Let's use them wisely. Always respect the person or people at the other end and use smileys naturally in your chats. Don’t force 20 smileys into your message. One or two is enough. Too many may make you seem childish and annoying. Smileys are the easiest way to convey your mood but you should only use them when you mean them. It is fantastic to state your feelings. It makes you more expressive. But don't make it a habit and think you must convey an emotion everytime you type. Ask yourself, "Is it necessary?" We tend to make negative comments seem good by adding positive smileys to them. It doesn't always work. The person or people you are chatting with is not a dummy! On Heart Rays, we are striving to live life filled with positivity, inspiration and love. 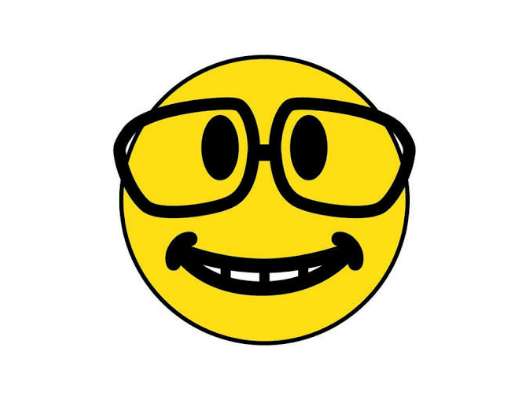 Currently loving this smiley - it looks like me on my nerdy glasses in real life. Lol. 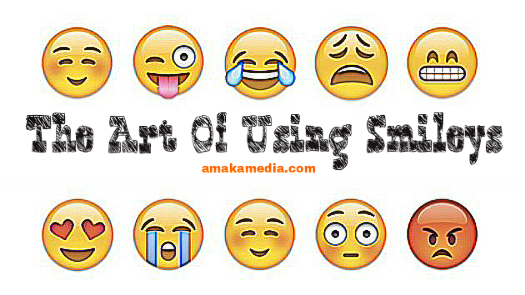 Do you use smileys? What's your most favourite smiley at the moment? And why? P.S Use smileys when you leave comments. I love them!